I wanted to thank you again for all your healing light and support you so lovingly directed towards my father. 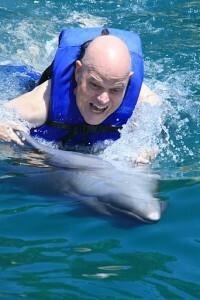 Just two weeks before his passing he took your suggestion and we went on a cruise to Mexico where he had the opportunity to swim with dolphins. 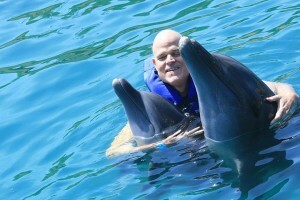 A very memorable experience for him and for all of us. We got some great pictures too. Thank you so much for encouraging him to do this. Thanks again for your insights and support.